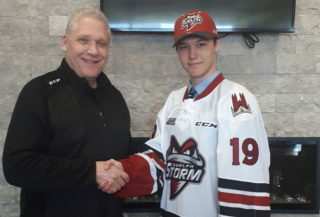 The Guelph Storm announced today that goaltender Justin Nichols is the HY GRADE STEEL ROOFING Player of the Week for the week ending October 18th, 2015. Playing in three of four games this past week, Nichols faced nearly 100 shots and allowed only five goals. 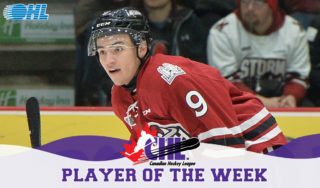 He posted a goals against average of 1.68 and a save percentage of 0.949 and was named third star for his performance on Sunday and second star on Monday. 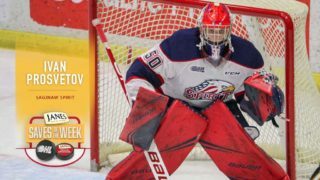 The St. Catharines native is currently among the top goalies in the league in two categories. With a goals against average of 2.08, he sits 4th among all goaltenders and is 3rd in save percentage with 0.943. 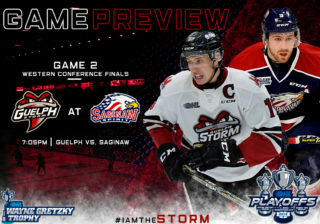 Next up, the Storm head to Owen Sound for a Wednesday night match up before heading back to the Sleeman Centre for two tilts this coming weekend. 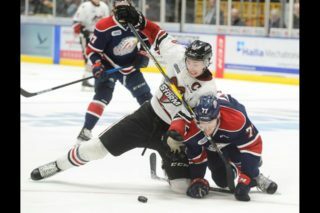 Friday night the Niagara Ice Dogs are in town for a 7:30pm puck drop and Sunday afternoon it’s the Kingston Frontenacs at the Sleeman Centre for a 2pm start. Fans can take advantage of the ‘Weekend Pass’ offer this week, as those who purchase a ticket for Friday’s game can buy a ticket to Sunday’s game for just $11.00. 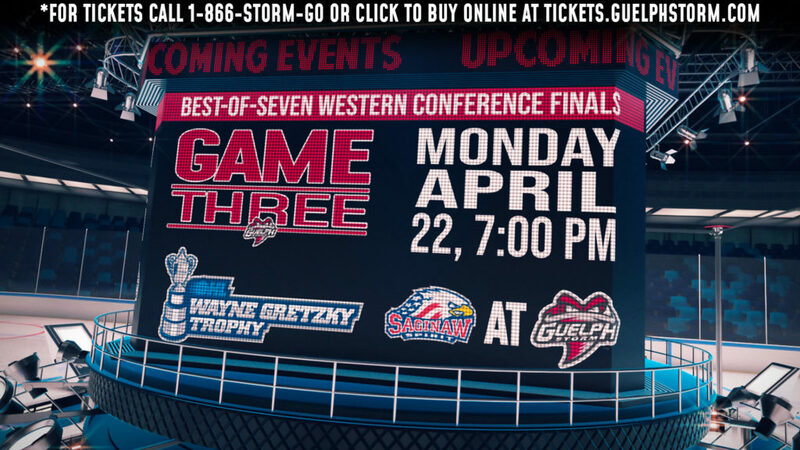 Tickets are available by visiting the Storm box office at Old Quebec Street Mall, the Storm kiosk at Stone Road Mall, by phone at 519-837-9690 or by clicking HERE to buy online.